This includes: days and 7 nights with Single Room accommodation . Healthy Vegetarian meals 3 times a day. Reiki Healing Training at all levels. Yoga-pranayama-sound healing meditation two classes every day. indepth Reiki philosophy for the clear understanding of LIFE. US $600 per person, including food and accommodation. 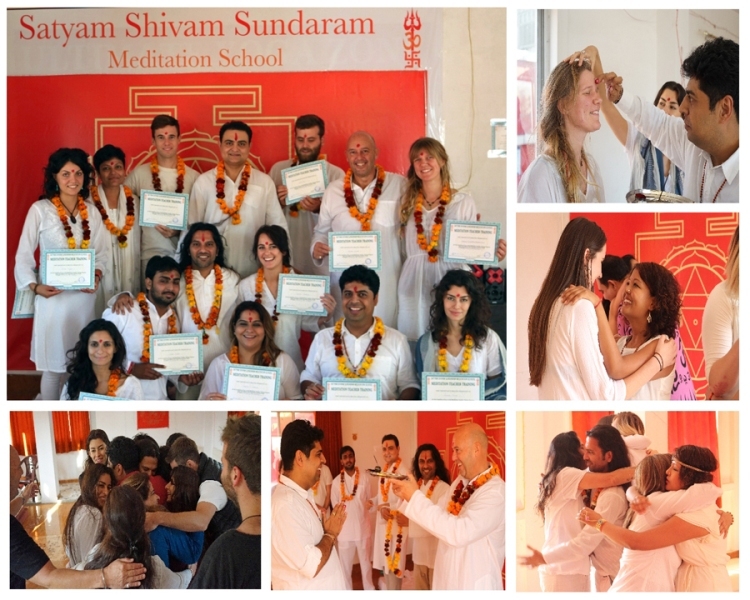 Satyam Shivam Sundaram Meditation School offers Reiki Level I, II and Master Level Certified Teacher Training Course at their Rishikesh and Goa Centres. This 5-Day course trains you to give Reiki healing to yourself as well as others either through private sessions or over a distance. At each level, students learn about various symbols like Mental and Usui Master symbols which work on physical, mental, emotional and Universal energy levels. If you are looking for a more passionate, meaningful and engaging life, and you are an aroma therapist, tarot card reader, sound healer, nurse, counselling professional, life coach, doctor, social worker, healer, Yoga teachers, alternative healers, energy therapists and all other light workers. Those who believe that their purpose in life is to guide people on their spiritual journey and help them heal themselves to live a happy life in harmony with the world. Why Should You Join This Reiki Teacher Training Certification Course? You will learn how to dissolve the energy blocks and bring a natural balance to mind, body and spirit. You practice raising the energy levels in a person quite significantly. You will be able to bring body to a deep relaxation state and train it to release tension and stress more efficiently and quickly. You will be able to help clear mind and increase the concentration power of brain of others. You will learn how to help a body improve the immunity against diseases and factors that induce stress. You will be able to enhance and improve self healing. You will learn how to keep the blood pressure under control. You will be able to learn how to help others with spiritual growth and elevate the emotional and spiritual balance. You will be able to cure sleeping disorder. You will learn how to help even people who are completely healthy and free from any kind of diseases and help them experience the benefits of Reiki healing. This level touches the Physical level of a human body. In this step, we start with opening up of the energy channel and the students feel a subtle energy flow on their hands as per the Usui Tibetan System, on which this level is based. As this is the first level and the beginning of the process, some people may or may not feel any kind of sensation or energy flow in the beginning. Being the first step, anyone can be a part of this course. There is no prior experience necessary to start with the Level I of Reiki. It can be learned over a weekend. It is basically an initiation of the connection between one’s energy to the universal energy. It helps remove the energy blocks and creates an open path between all the Chakras in our body. Chakras are the main energy centres in our bodies which start from the crown(head) to bottom of the spine and as this initiation process begins, a person feels connected to the Universal energy. Energy levels differ from person to person and it can raise through practice. With constant and regular practice, one can achieve a constant Energy flow in their Physical body. What is Reiki and how Reiki energy works in a body at different levels. The 4-level Initiation process to open up energy flow. Learning about hand positions for healing. Basic knowledge about Chakras and the how they function during the energy flow. Practicing giving and receiving Reiki healing sessions. Once, one has finished the Level I of Reiki, he or she can advance to the Level II. It is important to have had good enough practice either or yourself or the others before advancing to the Level II as it requires a constant flow of energy through one’s body 90% of the time. Once all the energy blocks are removed and there is a consistent intensity of the Physical energy in one’s body, the training advances to the next level which is about channeling energy between different Chakras to a much greater extent. In the Reiki Level II, students receive three important symbols which are: Power Symbol, Mental symbol and the Distance symbol. The Power symbol raises the power and intensity of the energy channeling between different Chakras, It enables the students to open or close the energy connections during the session. Power Symbol cleanses and purifies a place by enhancing one’s energy. It can be used to protect a person, a house or objects like car, etc. The Mental Symbol enables one to work on emotional and mental levels. It deals with anger, anxiety, fear, sadness, depression and relationship-related problems. One can get rid of bad habits like smoking, drinking and drug abuse and even help others to get rid of all the negative things in their lives. The Distance Symbol enables one to heal others over a distance. It allows you to send the healing energy to a person who is not physical present at that moment. One can be anywhere in the world and be doing anything, they would still be able to receive the benefits of Reiki healing. This is the power of Reiki and that’s why one needs to be 100% prepared and trained well to be able to heal anyone and anywhere. Using ancient techniques to strengthen and circulate Chi energy. How to work your own Chi energy. Learn how to give healing over a distance. Getting familiar with various symbols. Reiki Level II Initiation to activate spiritual energy cycles. In Reiki Level III, students learn how to channelize the Universal energy. This can only be achieved when one has completely mastered the other Energy sources in previous levels through practice on others or themselves. Students receive the Usui Master Symbol which enables them to the bring their energy to the Spiritual Level and brings them closer to their own true self. It also known as the Inner Master or Satguru Level as it helps one realize that the true Master lies within ourselves and all we need is to explore and connect with it. It can only be achieved at the Spiritual Level and once, it has been achieved, one becomes the master of their own destiny and it’s the true knowledge that defines them as a person. It requires self realization and total understanding of yourself as a person before you help others in understanding the true meaning of the Universe. Initiation to Reiki Mastership and general guidelines. Practicing different levels and learning how to initiate others. Practicing advanced symbols and hand positions. The course fee is 300 Euros for Residential and 250 Euros for Non-Residential training. Residential training includes 5 Nights Accommodation in private, non-AC rooms with private bathroom with both hot and cold water facility, 2 Meals per day, Reiki Learning Manual & Certification. Write us to check availability and other details about the Reiki Teacher Training Course. Regular Course Price: €600 Euros – Early Birds Discount 90€ Euros. We Also Offer Customised and Exclusive Reiki Training Courses for Groups From Any Country As Per Their Requirements. Satyam Shivam Sundaram meditation teacher training center in located in heart Rishikesh city behind Parmarth Niketan Ashram, Near Ram Jhula, Rishikesh. Surrounded by the beautiful view of the Himalayas, VamPrastha Ashram and Just 5 minutes walking from river Ganges. There are many hygienic restaurants around the center with nice clean budget hotels and ashrams around too. Our centre is located in Rishikesh, India. Also known as the “World Capital of Yoga and Meditation”, Rishikesh is a small city on the banks of river Ganges surrounded with the Himalayas and located in the northern state of Uttarakhand, India. Also considered as a paradise for spiritual seekers and dedicated students for yoga, meditation, and alternative healing, Rishikesh is a peaceful city with many temples, ashrams on the banks of the holy Ganges River. It became famous instantly ever since the Beatles set foot on this holy land with thousands of international travelers visiting here every year to learn meditation, practice yoga and gain knowledge about Hindu culture. An expert in Yoga philosophy, Swami Sanjiv Kashyap is a skilled Reiki and Alternative therapist. He is a renowned teacher of laughter Yoga and White Tantra, a prudent thinker, an eminent poet and above all, a dedicated philanthropist who has dedicated his whole life into helping others by the help of his healings and spiritual teachings. Sanjiv Kashyap covers topics from Hindu and Buddhist Philosophies such as Bhagwada Gita, Upnishads and Vedanta. During his classes, students explore various types of Kundalini, Chakra and Tantra Meditation along with Mantras. Dev Om is a Himalayan Yogi who invented “Mindfulness with Light Meditation “and the “Circle of Light Spiritual Phenomenon”. He also invented over 20 different types of meditation techniques which deal with various physical, emotional and spiritual issues and teaches how to handle human consciousness. His published work includes 12 Spiritual and Self-Help books has helped people from all over the world. Reiki originated from Japan which is made of two words: Rei which means Universal Life and Ki which means Universe. Thus, Reiki stands for Universal Life Energy or the Energy of life existing in the Universe. Being a Spiritual practice, Reiki is free from all the religious or belief systems. It is mainly a healing process which helps create a balance and harmony within mind, soul and body with the help of life force energy spiritually guided through the healer as a medium. Every life force has an energy which, when connected, strengthens and heals them from the inside both physically and spiritually. It is an energy which is free flowing and ever present and with the help of a healer, eases the emotional and physical imbalance in case it gets blocked or weakened. A well-guided Reiki session, under the guidance of an experienced healer brings happiness and pleasure which creates wellness and peace in the person receiving the session. As a healer, one can heal himself or the others either through physical presence of over the distance. A regular Reiki session lasts normally 60 to 90 minutes depending on the person receiving the session and the problems they need to be fixed. Before the actual healing sessions starts, there needs to be a proper communication and discussion between the receiver and the healer about the issues or problems and expectations the client might have in order to get the desired results. The whole process should be clear to the client and agreed upon before moving on to the next step. The client can either lay on a massage bed or sit in a chair as per their preference or what the healer recommends. During the whole session, the client is fully clothed and any no point is there a need to remove any piece of clothing. It is recommended to wear simple, loose clothes for the session. The Reiki session may or may not involve any kind of touching. In the hands-on technique, some light pressure is applied on the client’s body while in the hands-off technique, the practitioner moved their hands above the client’s body. This needs to be communicated properly to the client as they may or may not approve any kind of touching for any reason whatsoever. Even if they choose to go with hands-on technique, if at any point, the client feels uncomfortable with the touching, they can indicate it to the healer. 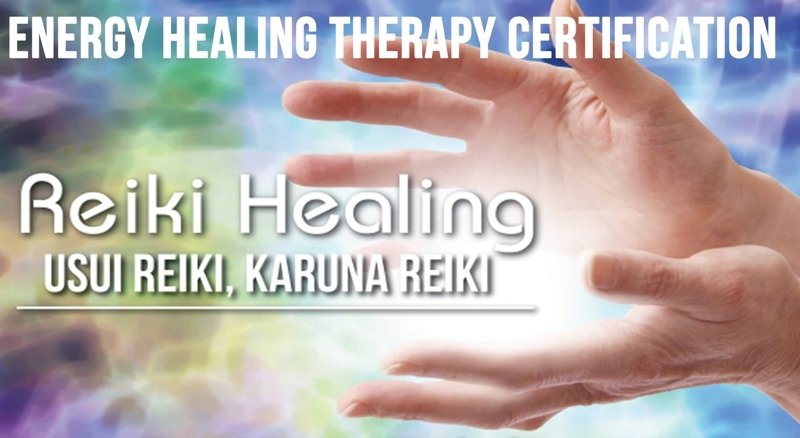 Reiki healing create a slight tingling sensation in the body which is completely normal. It is meant to make you feel relaxed and peaceful. A well-performed Reiki session is meant to be a pleasant and exhilarating experience. Difference between Modern medicine and Reiki Healing is that while modern medicine helps reduce or mask the symptoms of the disease, the Reiki healing works on the root cause of the problem and restores the balance on all levels. Reiki is a well and scientifically-proven method which is known to have produced profound effects in the lives of millions of people over a period of thousands of years. It not only heals the physical body but also helps build up an active mind and makes life more joyful and positive. However, Reiki is not the “Ultimate Cure” and neither it should be considered as one. It works more effectively when combined with traditional medications and treatments. It enhances and complements their effects and makes the overall healing process more comfortable and bearable. The mental stress and trauma that a person goes through while undergoing any kind of treatment makes their life more miserable. Reiki brings calmness to mind and make the person stronger to be able to deal with all the mental and physical stress and brings more positivity to their lives. Reiki requires a lot of commitment and a lot of changes are required to be made into one’s lifestyle like getting rid of all the bad habits like smoking, drinking, etc. for it to be effective and bring desired results. It also requires patience and time as balancing the body and mind is a complicated process. How and Why Should You Become a Reiki Healer or Master? Reiki requires a lot of trust in the technique and the healer in order to receive the full benefits. There should be no doubts left before getting into the session and there must be complete understanding and a bond of faith between the healer and the receiver. It enables one to achieve continual growth, better understanding about the world, closure and brings one closer to awakening. As a healer, one must have a complete understanding of love, joy, peace and happiness as these are the things which the world needs at the moment. Being a Reiki Master is a great honour in itself as it enables one to heal those who are in pain and going through some kind of trauma. It gives one the power to bring joy and peace in their life as well as others’. As you go in the advanced levels of Reiki, one receives additional knowledge and understand the meaning of various Symbols and various advanced techniques which add value to the healing powers. The more people you heal, whether in person or over a distance, you will feel a considerable change in your healing capabilities and senses. Once you have achieved the Master level, you will not only be able to give healing to your friends and family but also be able to start your own Reiki Healing Centre which can be turned into a future career and a full time job which would enable you to travel at any of the world and make a living. As a healer, when you see your students or clients gaining happiness in their lives, when you see what a significant difference you have made in their lives and way of thinking and when you see this connection of joy and compassion between you and the people you healed, you will understand the true meaning of life and its purpose. As a Master, you will keep this chain of love and compassion alive and growing. To become a Reiki Master, it is important to find the right teacher who can get you initiated into the process and give a good start to your journey as a healer. The teacher needs to be supportive and understanding enough to understand you goals and expectations and help you guide through all the important steps through this process.